How about a very different gift that lasts a whole year? A Pair of Kipper Fillets delivered every month for a year. 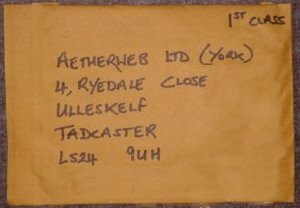 A pair of Kipper Fillets, posted to the recipient of your choice on the first Thursday of every month for one whole year. If you would like your first delivery immediately, rather that on chedual, please state in the comments. Kipper pairs are sent by Royal Mail 1st Class Post. If you would like the kippers to go to a different address, please put the recipient’s address in the comments section on checkout. Also mention id you would like a certificate sending to yourself so that you have something to give the recipient before their first delivery arrives. This listing is for Kipper Fillets; If you would prefer Whole kippers, heads and all, see here.